Great leaders are a rare find and if you are fortunate enough to be in the presence of a great leader you will immediately know the difference between good and great. Great leaders operate with honesty and integrity, they inspire others to go above and beyond, they empower their employees, hold them accountable and are great communicators. To be truly successful in the b2b telemarketing services industry one must possess these various attributes and utilize them to drive their team to new heights. Marcia Jenkins is a Sr. Operations Manager for Quality Contact Solutions and she is a great leader. Marcia manages our QCS At-Home team and is an absolute sales management machine. She has a strong competitive spirit that is absolutely infectious and while you would be fortunate to work with her I would caution you against challenging her in a sales showdown. Believe me, I’ve tried, and the odds were not in my favor. 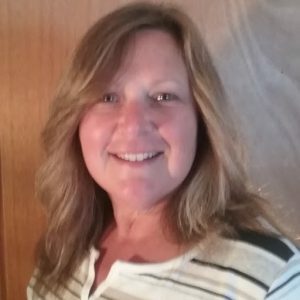 From QA, training, program management, facility management and operations management, Marcia knows every aspect of the call center and exactly what levers to pull in order to make the needle move the most. What I admire most about Marcia is her “no sugar coat” approach. If there is a fire, she will extinguish it, if there is a finish line, I can guarantee she is going to be the first one to cross it and if there is someone who is struggling she will be there to lift that person up and bring them to new heights. You know how you tell if you have a great leader on your hands? Speak with the people that report directly to them. I have watched Marcia manage teams over the past 12 years and if there is one thing I know it is that her teams have nothing but the highest level of respect for her as a leader. Why? She communicates with them, she listens, she empowers her team to make decisions, she holds them accountable and she is always fair. It is this approach that motivates a team to leave everything on the field every day in order to provide the best b2b telemarketing service they can provide. As a great leader Marcia is passionate about results. She pushes hard every day, working alongside her team to ensure that she provides them with the tools they need to be successful. When it comes to meeting goals, I love the fact that Marcia is not afraid to get her hands dirty. She is always willing to jump in wherever her team needs her and provide the support that will lead them to victory. She is a great teacher and builds her team not only through coaching but through action. Action reflects leadership and her team operates like a well-oiled machine for a reason. Because of her strong communication, action leadership and clear expectations there isn’t a program that I feel I couldn’t put on her plate and have it be successful. When you think about levers and how to drive performance many people think about report analysis and making only number-based decisions. This is what separates the good from the great. Marcia can read a report like nobody’s business however it is her ability to incorporate not only a numbers-based approach but also to utilize her other skills and attributes to execute on the actions that will truly get you the results you need to be successful. This entry was posted in Articles and tagged About Us, B to B Telemarketing, B2B Telemarketing, Telemarketing Services on September 24, 2018 by .